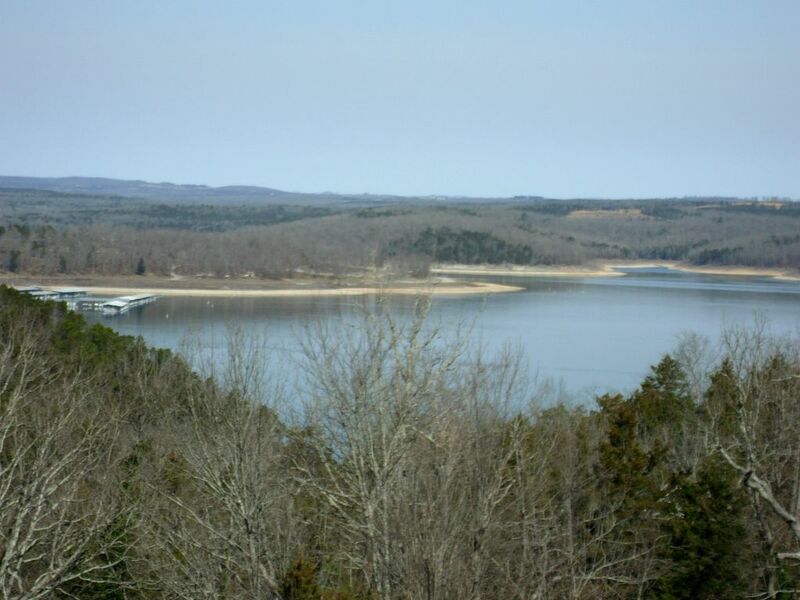 Peaceful, private, scenic, lake view home on beautiful Lake Norfork in Mountain Home. This unique home is partially suspended in the air by metal posts, providing for a fantastic view of Lake Norfork. You are just 5 minutes from Cranfield Marina (which can be seen from the sunroom, and the lake can be seen from every room in the house except the guest bedrooms) and 5 minutes from shopping, dining and entertainment in Mountain Home. This home has 3 bedrooms and 3 baths. The master has a king bed adjoining a bathroom, bedroom 2 has 2 queen beds and bedroom 3 has 2 full beds with a bathroom across the hall. The garage has been converted to a game room with a pool table, tv, and dvd player, and it has a bathroom. It also has a counter for eating or watching TV. For additional sleeping options, a futon with a 10 inch mattress can make into a bed when needed, and a love seat that converts to a twin bed is also in the game room. It is vented to the central heat and air system for comfort. The new 32 x 16 ft. deck is complete and furnished with a large flat top griddle, plenty of space for dining (including a deck dining counter overlooking the lake) and space for relaxing. Whether you enjoy sitting out and reading a good book, or having a sunrise breakfast, or sunset dinner, this deck fits the bill. Bald eagles, deer, and turkey have all been spotted from the deck and sunroom. The kitchen is stocked with everything you might need for creating a full meal for a large family, or just a quite dinner for two. You will find a microwave, kitchen aid mixer, and a Keurig coffee maker at your fingertips. A large outdoor grill has also been provided. Bringing little ones? For your convenience, several baby items are provided including: high chair, booster seat, and a pack and play. My husband and I have been married for 38 years. He is a retired crop farmer turned realtor, and I am just finishing a 37 career in education. I've taught first and second grade, been Library Media Specialist, and worked for our Educational Cooperative. I will be retiring from education this year to focus on other projects. My husband and i just purchased this home to offer as a vacation rental for this Spring. He has been coming to Lake Norfork since he was a toddler for family vacations. When we married, I started going to the lake with his family. I learned to swim here as an adult and spent as many days as possible on this beautiful lake. We brought both of our, now grown, children to the lake as often as possible. They loved this place as well, and have many special memories of our family time together on Lake Norfork. When we saw this house, we knew it would be the kind of place we would have loved to come to for family vacations. The lake view, the lake view, the lake view. Then there is the fantastic deck, and a game room. Beautiful Lake Norfork view including the Cranfield Marina and Cranfield swim beach. Central Unit. Propane heat sources for wall mounted heaters are only available for Fall/Winter use. Parking for several vehicles and boat trailers. There are several separate living spaces: Living Room, Family Room, Sunroom, and Game Room. Both a regular drip coffee pot and a Keurig have been provided. All standard dishes and utensils for meal prep and service have been provided. There is a dining area in kitchen (seats 4), sunroom (seats 6) and in the game room (seats 6). There are televisions in both the family room and in the game room. Each also has a blur ray dvd player. Blu Ray players are in both the living room and game room. Books and magazines are available. Has a pool table, eating counter, tv/dvd player, love seat that has a twin bed pull out, washer/dryer. Board games, and playing cards are provided. Large, wrap around deck overlooking beautiful Lake Norfork, with covered area on Lake side of deck. This place was amazing. I am the golf coach at s Missouri college and my team loved the place. We will be back next year. I want to thank Debbie for her great hospitality. The house was wonderful. We had 3 adults and 4 wild boys stay at the house. It was very clean and the welcome gift was very nice. We were very busy every day of our stay but when we returned to the house the kids never left the game room. They loved it out there and it allowed for some peace and quiet for the adults. The new deck had an awesome view of the lake, we just wish it was warmer on our stay to enjoy it more. Our host even ran into the boys during one of their hikes through the trees and gave them ideas of places to get down to the water. You wont go wrong with choosing this property. If you like clean and roomy this is your place. The house was perfect for our needs. It was roomy & slept 7 adults comfortably. We felt right at home as Debbie thought of everything. We also enjoyed the game room & the lake view. Thank you Debbie for all the extra attention to detail & great communication before, durung & after our stay! The goodies were also a nice touch. I highly recommend Debbie & her home if you are looking for a great place & relaxing stay. Nice welcome and comfortable stay...enjoyed a lot with our friends. It was a very special week for us, the place was very clean and everything was ready for our convenience when we arrived. My family fell in love with the place from the first minute and at that moment we knew that we would have a beautiful time together.